According to a recent FCC analysis of the upcoming PlayStation 4, Sony's latest console has an operating temperature range roughly 40 degrees below that of its predecessor. The PlayStation 4 appears to be an exciting machine. It's $100 cheaper than its closest competitor, features relatively scant DRM and appears to support some very attractive games. Thanks to a new filing by the US Federal Communications Commission, there's also one other major positive mark in the PS4 column: The device won't cause your home theater to burst into flames. According to the FCC, standard operating temperatures for a PlayStation 4 range from 41 to 95 degrees Fahrenheit. Compare that to the PlayStation 3 which was designed to operate in temperatures between 113 degrees and 131 degrees Fahrenheit. More anecdotally, anyone who's played games on a PlayStation 3 (especially the original model) for an extended amount of time will tell you that the console had a tendency to heat whatever room it was in. Often to the point where it was simply unplayable on especially hot days, as at certain temperatures not too far beyond its specified operating range, the PlayStation 3 could cease functioning or even damage games and peripherals with its heat. By contrast, the PlayStation 4 should have fewer overheating issues, and hopefully a longer mechanical lifespan as a result. 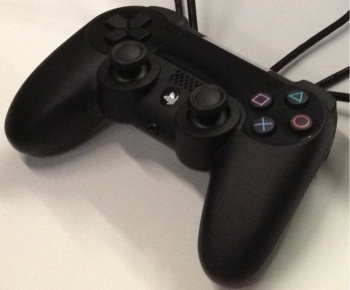 The PlayStation 4 is currently slated to hit retail at some point toward the end of 2013. We shouldn't have to say it, but yes, we'll probably write many more things about Sony's newest console over the next few months. Stay tuned.